What a wonderful and fairly successful day we enjoyed today! As mentioned in our blog, we got a lot done, met some great folks, and enjoyed a new place to eat. 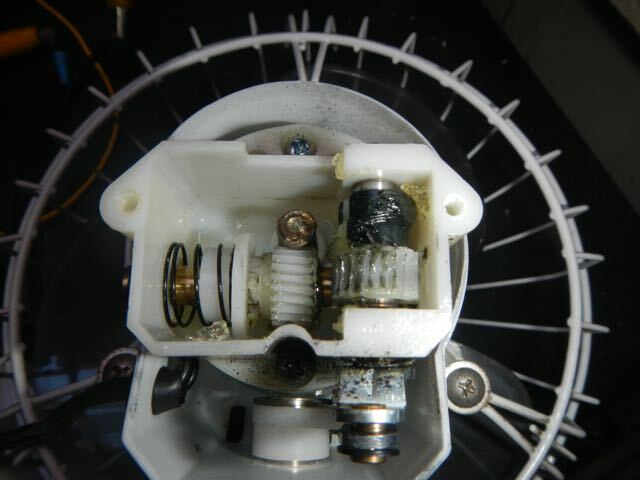 Alas, the gear on the right has a section of stripped teeth so the fan oscillates to this section and stops. I reassembled the fan and will have to use it for another purpose. Science strikes! 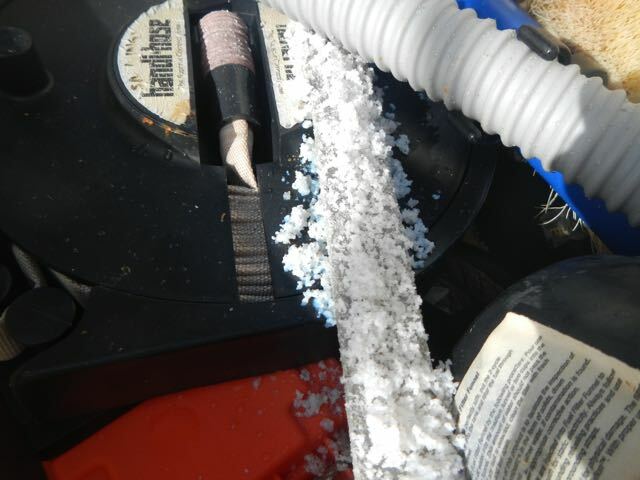 This is aluminum chloride (chlorine from the salt water of course), I think, that was created by the salt air reacting with the aluminum strap. These are very large crystals that we'd not seen before. 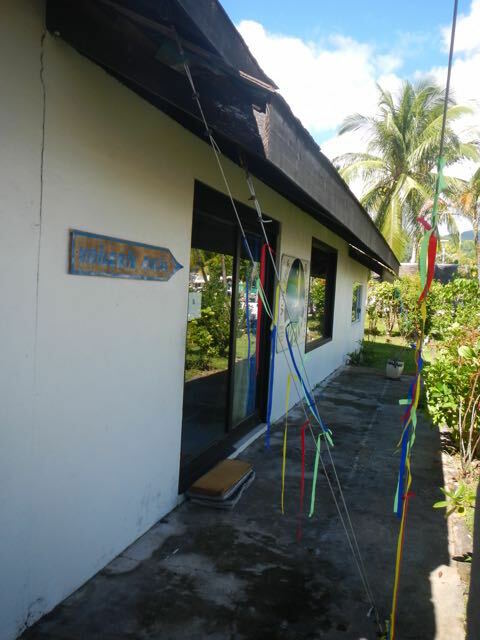 Note the cables here that hold the roof from wind damage. 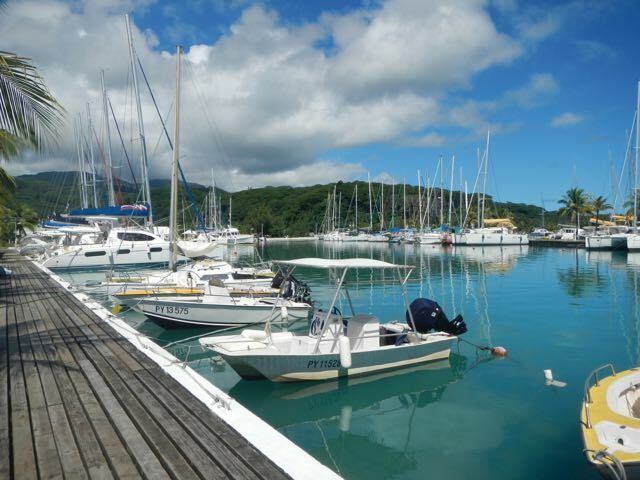 The marina from which SunSail and the Moorings (note blue sail cover at left) charter boats. 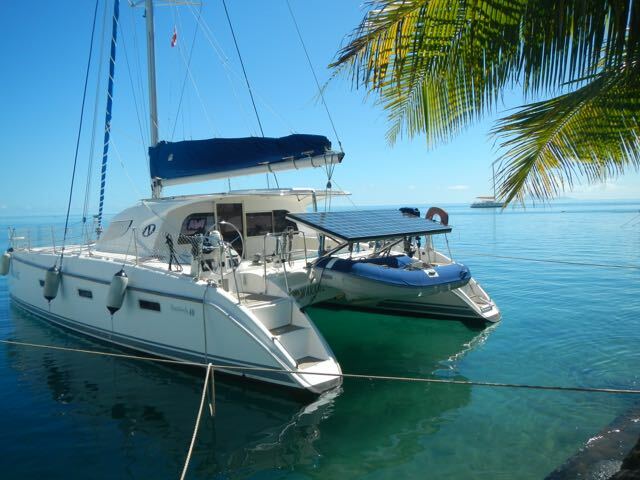 Most are catamarans. It's just beautiful and well maintained. 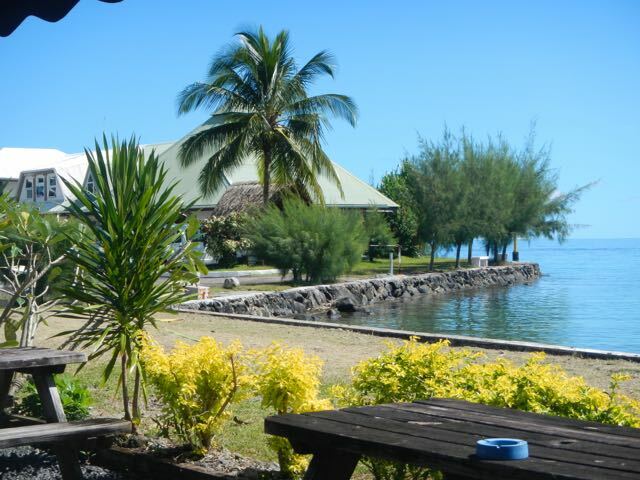 The marina restaurant was also lovely and well maintained. 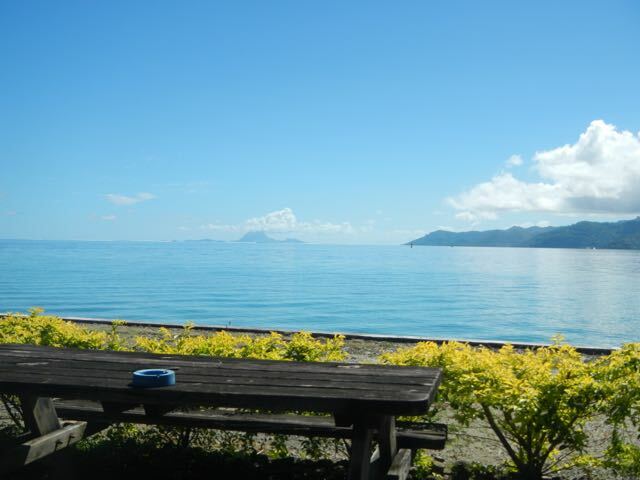 Bora Bora, over sixty miles away, dominates the horizon as seen from our table. 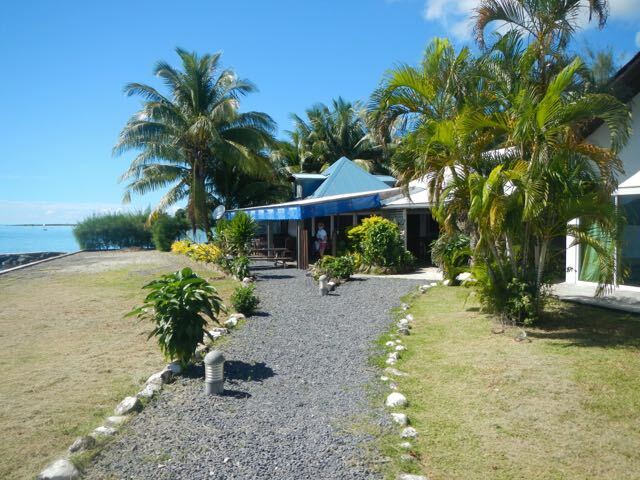 This other building is the marina office. 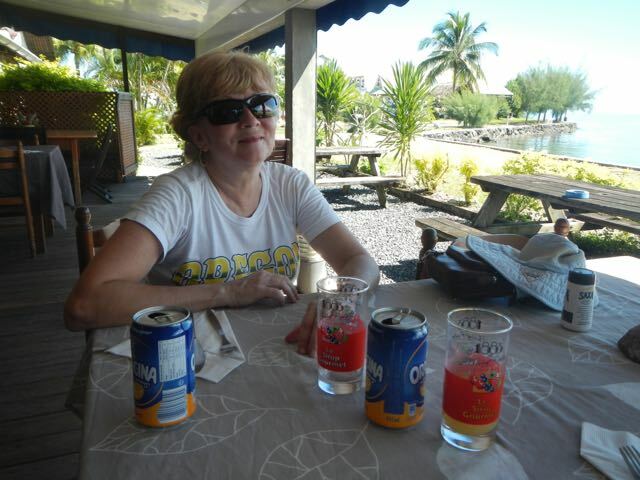 Lovely Conni enjoyed a cold Orangina. We lose a lot of water working in the heat and have learned to be careful. 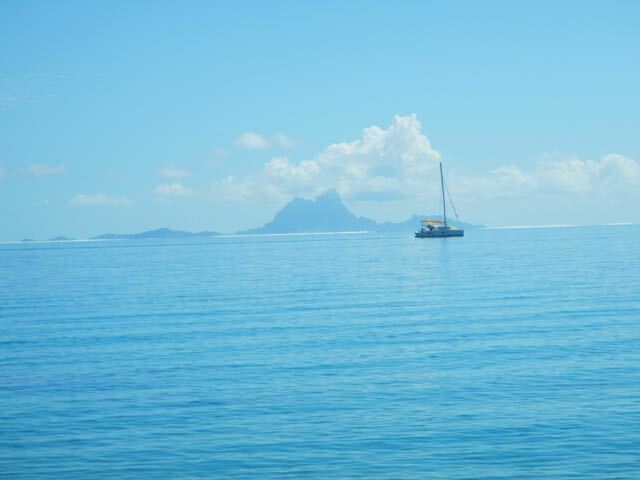 Bora Bora a bit more to scale. It's no wonder that the US military chose it to serve as an airbase: the pilots could see it from far away. 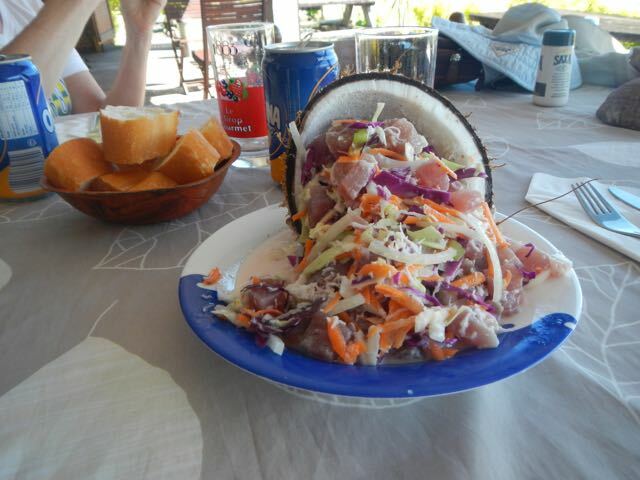 The national dish of French Polynesia is poisson cru, a delicious mixture of raw tuna, coconut milk, lime juice, onion, green and red cabbage, and carrot. The presentation is spectacular, isn't it? It tasted as great as it looked, too. 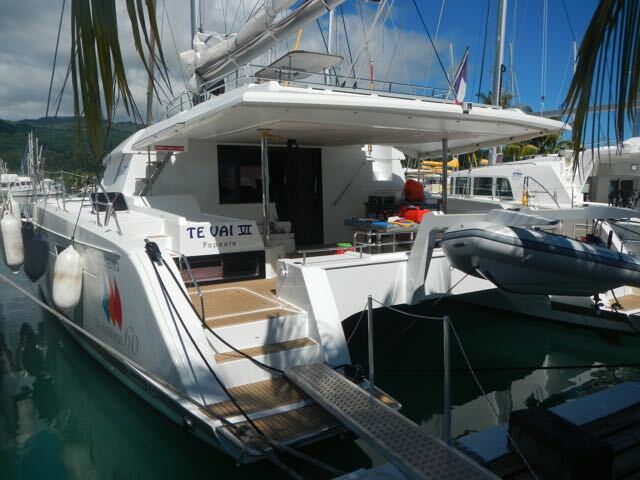 This is a 60-foot catamaran for lease. It's HUGE! I'll bet that it sleeps 8 comfortably. With this many solar panels, the boat's probably self-sufficient for long periods. 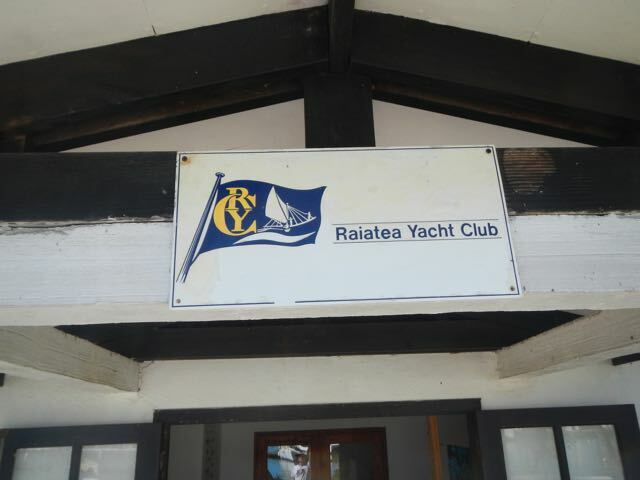 The Raiatea Yacht Club building and the club burgee above the door. This is our new galley fan with the new bracket that I fabricated. 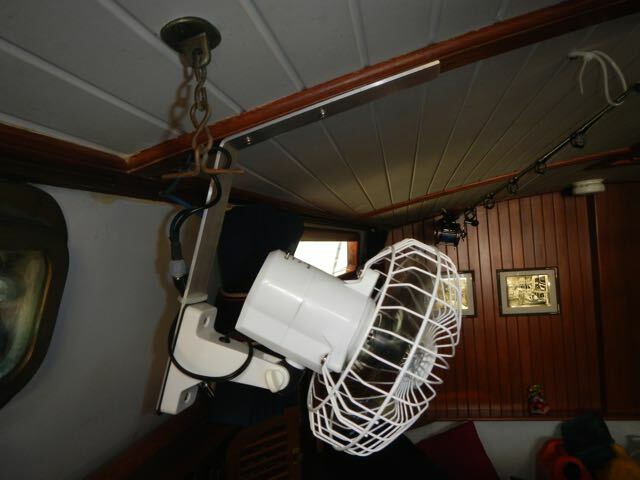 it works well and keeps the fan right-side up, rather than the more traditionally inverted position. 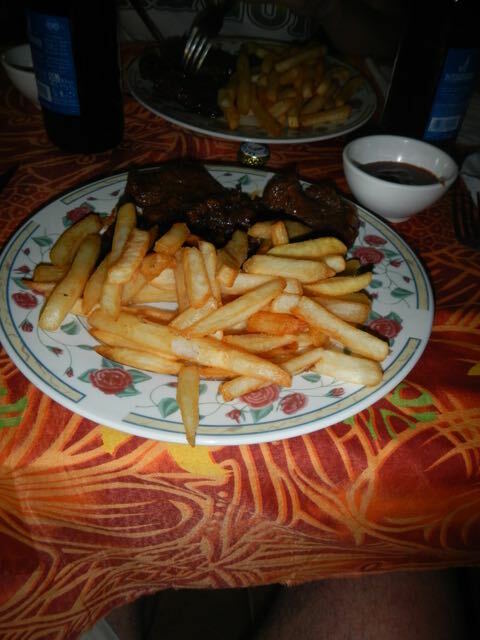 Our US$5 steak and fries were great! 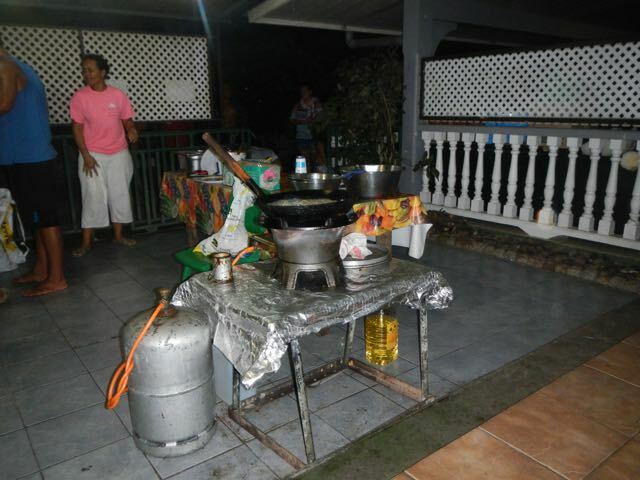 The open-air kitchen in which our dinner was cooked. The young men are earning money for college so it's a good thing to eat here.